A reading of a new play by Vanessa Garcia inspired from the students in Theatre Lab's educational outreach program. 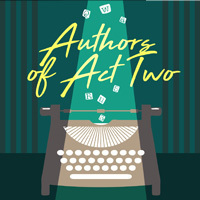 Theatre Lab's "Authors of Act Two" places highly-qualified teaching artists in residency programs at partner schools, detention facilities, and community organizations to guide adjudicated and/or at-risk youth through the process of creating a piece of dramatic writing. The students' original writing from the program serves as the inspiration for an original performance piece to be conceived and developed by industry professionals - sharing the voices and stories of these young people with Theatre Lab audiences.